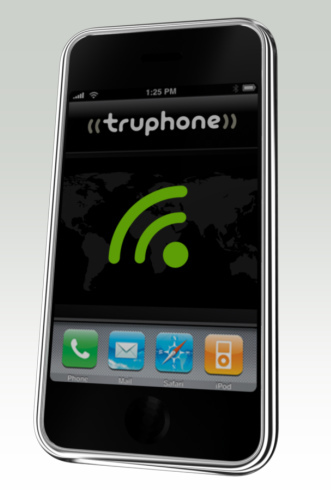 Truphone's native VoIP client for the iPhone was developed with Apple's own SDK and is available at the online iPhone App Store. Still, I wished it worked over the 3G connection. Wonder how long it will be before someone jailbreaks iPhone 2.0 and allows a truly native VoIP app that works over WiFi AND the 3G cellular data connection. Then life would be good! Hat tip to Greg Galitzine for the news and image.